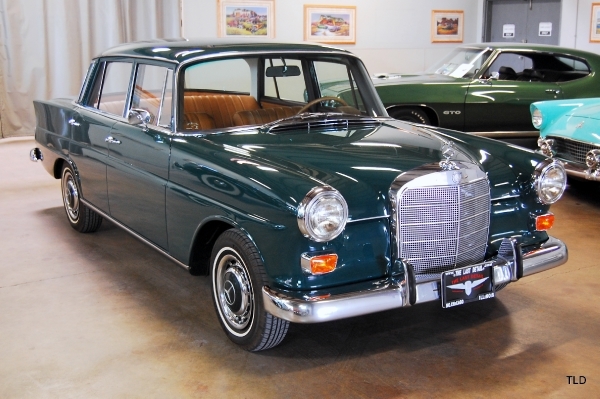 With limited build numbers and plenty of power, the 280 SE 3.5 proved to be a favorite with new buyers and now collectors. This Coupe is presented in Midnight Blue with a matching Blue interior, this Coupe is believed to be the finest example available today. The highly detailed exterior is polished to a mirror finish, and is contrasted by the exceptional chrome and trim work surrounding the car. Upon opening the door, a time capsule interior reveals itself. The door panels, dash, carpets, and hides are all in spectacular condition, still retaining that new leather smell. 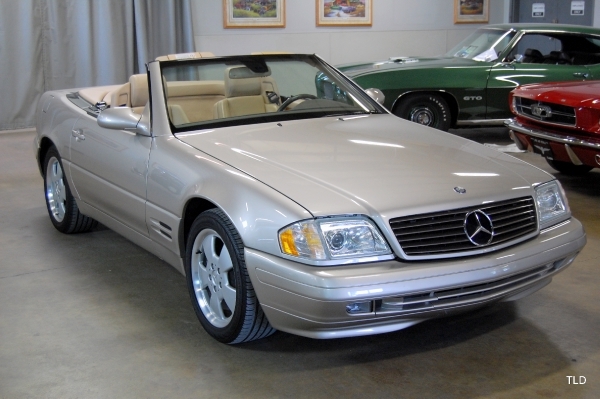 This immaculate coupe features the factory air conditioning, rear defrost, power sunroof, and a Becker Europa radio. Also included in the sale are the original owners manuals, restoration log, copies of factory data card and window sticker, and photo book. Under the hood of this 280 lay the 3.5 liter M116 V8 which produced 200 horsepower and 212 pounds of torque. Driving and stopping this coupe is a pleasure thanks to 4 wheel power disc brakes and power steering too! Along with the exterior of this Mercedes, the drivetrain on this meticulously restored and we have a log thats included. Throttle response is smooth but quick, while shifts are crisp and accurate. This is by far the nicest 3.5 coupe weve ever had. 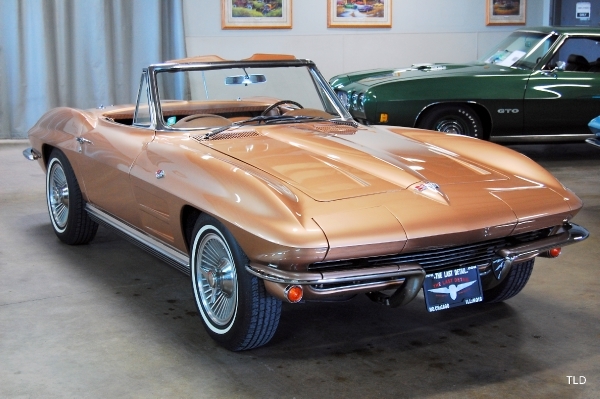 With prices for both the 3.5 coupe and convertible on the incline, collectors alike are scrambling to find a low mileage examples for their own collections. Dont be caught standing when the music stops! A thorough TLD detail has just been performed to make sure that this car meets our strict standards. 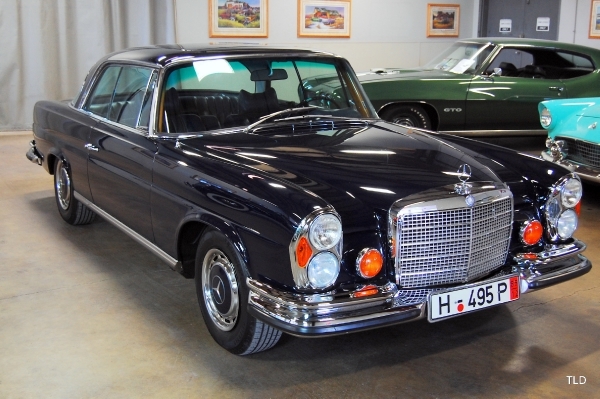 This car will make a great addition to any collection, so stop by our showroom and see how nice this Mercedes 280 SE 3.5 Coupe really is, down to The Last Detail. 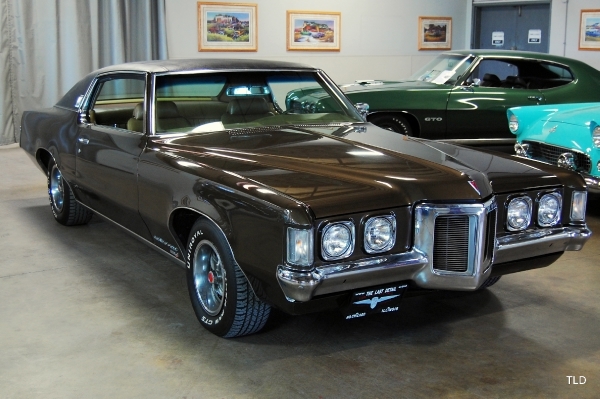 Featured in Expresso Brown Metallic with the optional Cordova top, this 69 Grand Prix is mostly original throughout. The paintwork and top are in very nice condition thanks to proper care and storage throughout the cars life. All trim is correct and intact, further adding to the styling of this Grand Prix. As pictured, panel gaps and pinch welds are all correct and as original. Inward, the Dark Fawn interior features new door panels but is all original otherwise. The dash shows no warping or cracks and features a wood inlay the wraps around the stereo and other controls. Features include converted air conditioning and the AM/FM push button radio. Included with the car is the original window sticker, owners manuals, and service manual. Under the hood lay the 6.6 liter, 400 V8, which is backed by a Turbo 400 transmission, which together produces 350 horsepower. Starting is effortless and throttle response is quick. The car shifts effortlessly through all the gears and stops quickly when braking. 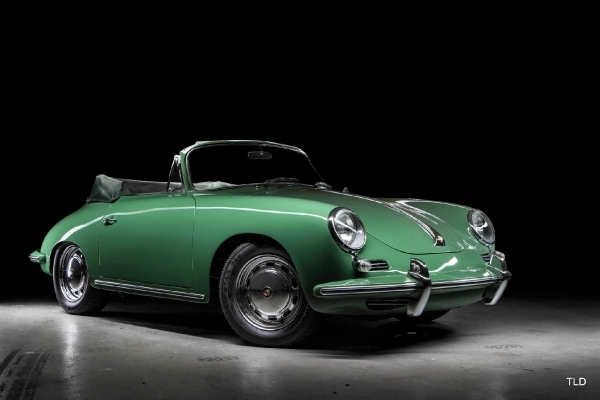 Just out of an important car collection, this survivor and will easily make a great addition to any collectors portfolio. 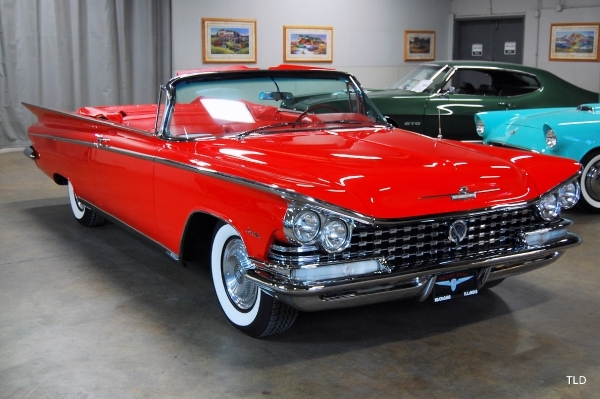 A thorough TLD detail has just been performed to make sure that this car meets our strict standards so dont miss the opportunity to own a true piece of Pontiac history. Give us a call to make an appointment or drop by our showroom to see how nice this Grand Prix really is, down to The Last Detail! Documented 1 Owner Since New!! Never has the term survivor been a more suitable adjective to explain a car than now. 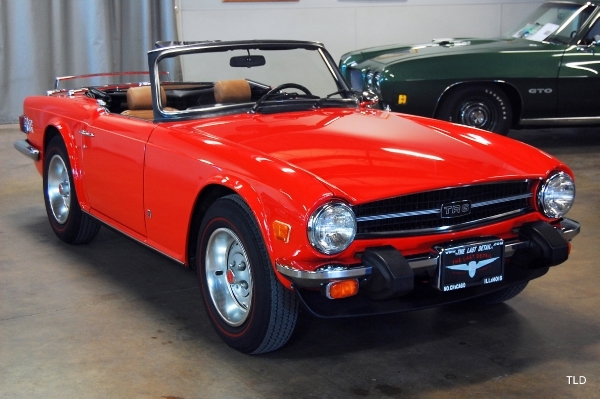 Presented in Pimento Red with a Beige interior, this all original TR6 is simply stunning. The exterior paintwork shows little wear as well as the trim and luggage rack. Never having been perfect from the factory, panel fit is correct and original while the black soft top looks and works well, and the windows are clean and clear too. The original beige interior is a time capsule and a true testament to exemplary ownership. The switches, seats, door panels, carpeting, gauges, and wood dash are all in remarkable condition and function correctly. The TR6 is powered by a 2.5 Liter straight six, adorned with twin Stromberg carburetors, which produces 104hp. Regular service throughout its pampered life has kept this TR6 in pristine condition. Recent service includes all new brakes and a clutch service. Driving this TR6 is a gas! Pull the choke, turn the center mounted key, and the engine springs to life immediately. Steering is very direct, and the taut suspension holds the tires to the road and allows for a truly fun, spirited drive. The TR6 is the quintessential British sports car and this example is surely the finest available. Thorough documentation and service history paints a precise picture, and included in the documentation is a church leaflet left by a British Leyland factory worker! A thorough TLD detail has just been performed to make sure that this Triumph meets our strict standards, stop by our showroom, drop the top, and see how nice car really is, down to The Last Detail.